There is no way I can express the sadness I feel in leaving you. There is also no way I can express how much joy you have brought into my life. There isn’t a teacher anywhere who had such a wonderful class of students. You are smart, kind, humorous, creative, gifted, and so full of life that you have been a blessing in my life. I hope I have made some impression on you. Most important, how much I love each of you. But also an impression that tells you that hard work, sticking to the task at hand, believing in yourself, doing your best, loving yourself and loving others are not difficult things. They are beautiful things that will reward you in life. Never, ever, give up your dreams for a better life. And never, ever, forget that each effort you make is rewarded. Never, ever forget that every kindness you show to others comes back in kindness to you. Never, ever forget your own value as a person. The world is often mean; too often it is mean. But you have to be the people who make the world a better place. If each of you doesn’t do that, who will? You may not immediately see a return on your efforts to do what is right, but I promise you that eventually every seed of goodness you sow will grow into a better world for you and others. Be smart. Be adaptable. Be forgiving. Be kind. Be your true self, and you will be all of these things. I will miss so much about each of you. I will even miss your antics, your moments of frustration and anger, even those few moments when we disagreed. Each of those moments passed quickly and because of them you and I grew as human beings. I hope they taught you, as they taught me, that the affection we have for each other was worth preserving through any moment of discontent. So now I say goodbye to my wonderful, beautiful students in Arena 6. Please call on me any time you feel the need. Let me know of your progress towards your high school diplomas. Know that I will never forget you, and I will always love you. 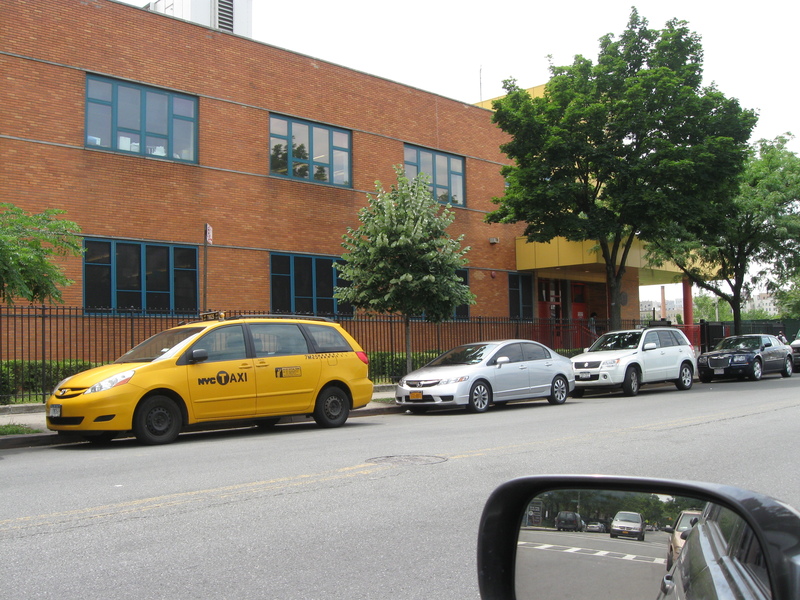 This post is the letter I gave to each of my students on my last day of teaching at Bronx Arena High School. The title of this post is borrowed from the last episode of the television series M*A*S*H broadcast on February 28, 1983. I made my usual drive from upstate to downstate on Sunday. My car was packed with provisions for the week: My washed and folded clothes, two computers, and energy snacks to sustain me through my teaching days. The students have just come through Regents exams week and it will be good to move back to real learning. 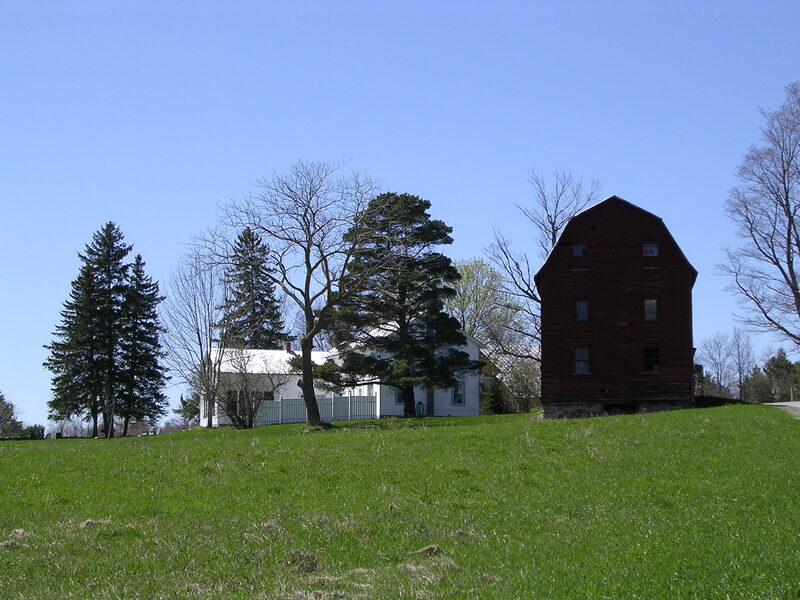 Driving through the valley and the Catskill Mountains on a day of brilliant sunshine and graced with linen-white snow, I passed tired hamlets and run down homes, abandoned general stores, and old farms weary with age. 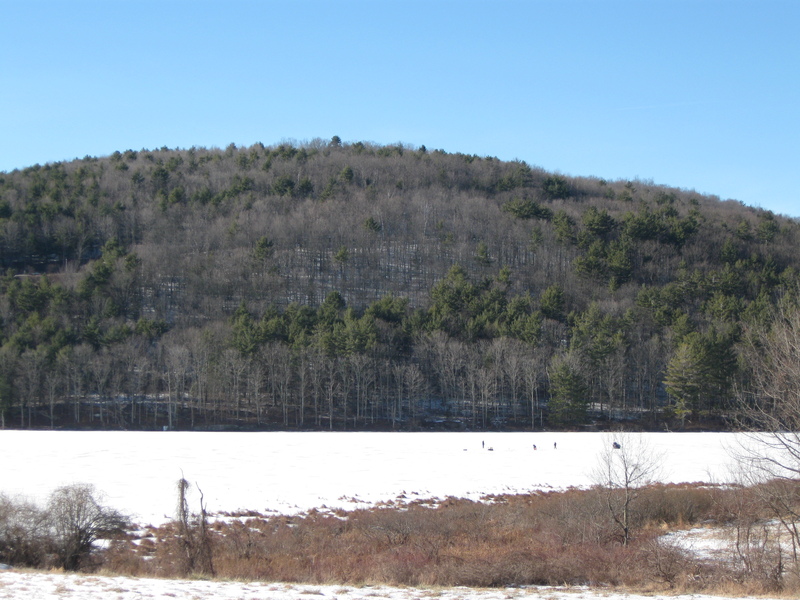 So much of the human landscape in upstate looks this way, and winter makes it even sadder. I passed cold, rushing streams half choked with snow laden boulders and ice. On a string of ponds I saw brave people ice fishing. I always wonder about those who fish on frozen ponds. I might like to try it sometime; for an hour. I stopped to take this picture of those hardy souls out on the ice. In the parking lot above the pond, some of the winter anglers were packing their gear into the back of pickup trucks and wearing camouflage outerwear. I wondered: If you are going to wear “camo” while ice-fishing, shouldn’t it be white? I’ve lived in cold weather states most of my life, including two winters in Fairbanks, Alaska. With a few years in northern Vermont, twenty winters in Maine, and quite a number in upstate, I know what winter means. Still, there is not much that can prepare you for day after day of bitter cold weather and wind chill factors that approach, and then sink, below zero Fahrenheit. That’s been our weather lately. The days are getting longer in our latitude. It is noticeable. But, there is still a lot of winter left in these climes. Weekends, when I am back home on the farm, I toss log after log into the woodstove. In the Bronx, I wipe the tears from my cheeks, the snot from my nose, and pray my classroom is warm. The goal at this time of year is, as Van Morrison sings, to get through January and February. On Monday, when the week before the holiday break was just beginning, a student said to me, “I wish it was Friday.” I knew then that the week was going to be a long one. I didn’t let on that I also wished it was Friday. There is no reason to tell a student that and besides, wishing wouldn’t make it true. Don’t get me wrong, I am not anxious to get away from my students. I will miss them when we are away for eleven days. It is amazing how much their energy becomes my energy, their laughter makes me laugh, and their lives have become my life. I arrive each school day before seven in the morning excited about the day to come. Reluctantly, I leave school each day long after my students have gone home. On Fridays, I am sorry the school week is over. Teaching is exhausting. So I am looking forward to the upcoming holiday break. (It’s the Christmas break, but I’m not allowed to say so.) I know I need some time back home: Time to be with my son, time to sleep in, time to look at the Christmas tree Andrew and I decorated last weekend, time to make a second cup of coffee in the morning, and time to watch the sunrise on my farm. These last few months I have often felt disconnected from my prior life while teaching in the Bronx. I have been living in two worlds, trying to serve each as best as I can. The best part of me has gone into my teaching, and I feel that family and home have been neglected these past four months. It is time to catch up. On Boxing Day, a dear friend from Alberta will be flying into Albany. We haven’t seen each other in four months and our reunion will be special. The last time we were together was in late summer, and I wrote about it in an earlier post called Liberty. It will be good to have time with her. More than anything, I simply want to be home. I want to spend the coming holidays in the place I call upstate and re-energize myself for the next six months of the school year. I think all of my students and colleagues feel the same. We all need a break and being home is a cause for celebration. Last week I had my second formal observation in the classroom. These observations are a requirement in the era of teacher accountability and are intended to make good teachers better, and I suppose, partially intended to weed out teachers who really shouldn’t be teaching. My principal, T. Rex, and I met on Tuesday for a pre-observation conference and we went over my plan for the lesson I would be teaching. He had several useful suggestions. On Wednesday he observed me teaching a mini-lesson to five students. The aim of the lesson was “making connections and inferences with artifacts.” While I was being observed, Ms. Persuasive, a science teacher, had pushed into my room to teach two groups of students. Both groups were working on genetics, but were at different stages in the Living Environments course. A half-dozen other students were independently working on various other subjects. I felt my observation went well. When I met with T. Rex on Friday morning for post-observation conference he said as much. He also offered suggestions for how to improve my skills as a teacher in the Arena model. T. Rex has a goal for his teachers: he wants them to be the best anywhere. And then he asked me a question I could not easily answer. He asked, “What are you and the Advocacy Councilor doing in Arena 6 that makes it…” He didn’t finish the question. I think he wanted to know what was going on. Maybe it was because of the missing last word in his question that I fumbled the answer. I spoke generally about my teaching, and the most emphatic I could be was when I told him I just try to be myself. I added that my students know who I am and that I don’t pretend to be anything else. Driving home to upstate on Friday evening I thought more about why Arena 6 has been successful, and what my part in that might be. In my mind, I began crafting a wonderful response with details of everything I and A.C. do that has made our classroom great. By the time I exited the Taconic Parkway and headed west for a crossing of the Hudson River, I had my answer down to six words. Affection: I am very fond of my students. It shows and they see it. Expectation: I have high expectations of my students in their academic work, their attendance, and their behavior. They know it. Intellect: I am fairly smart, intellectually curious, and I love learning and learners. My students see how I work with them to find answers when we don’t have them. Energy: This could also be called drive or passion. I put everything I have into each teaching day. The students see this and they have commented to A.C.. Collaboration: I love to share what I am learning about my students and my Bronx Arena teaching experience with anyone who will listen. And I am always seeking out what others have learned. Reflection: My teaching day doesn’t end when I leave school. I am always thinking about my students and my teaching. I make lousy company. As the school year progresses I will try to remember these words. They may change as I change. For now, it is my formal response to a question that might have been asking, “What’s going on?” If you watch the video you will see T. Rex leading the band. Ms. Persuasive is on drums and of course, I’m Marvin Gaye.